Has Anyone ever repaired or replaced the plug on a set of headphones? Thread: Has Anyone ever repaired or replaced the plug on a set of headphones? Maybe I'm just way to rough on my stuff. I truly make a honest effort to protect the plug and cord on my headphones. But it seems I'm going through a pair of headphones every year or two! It's always the cord right at the plug that seems to be going bad on them. I might have good sound and with the slightest little bit of motion the sound will be fuzzy, crackling, or just go out all together. So I figure if I just cut back on the cable a little and install new plugs I can save myself $125+ every couple of years! At least till there's no more cord left. So that's what I did. I cut the plug off a set of Grayghost I had. There are 3 tiny wires in there. I ordered some 3 prong plugs. And that's where I'm stuck. 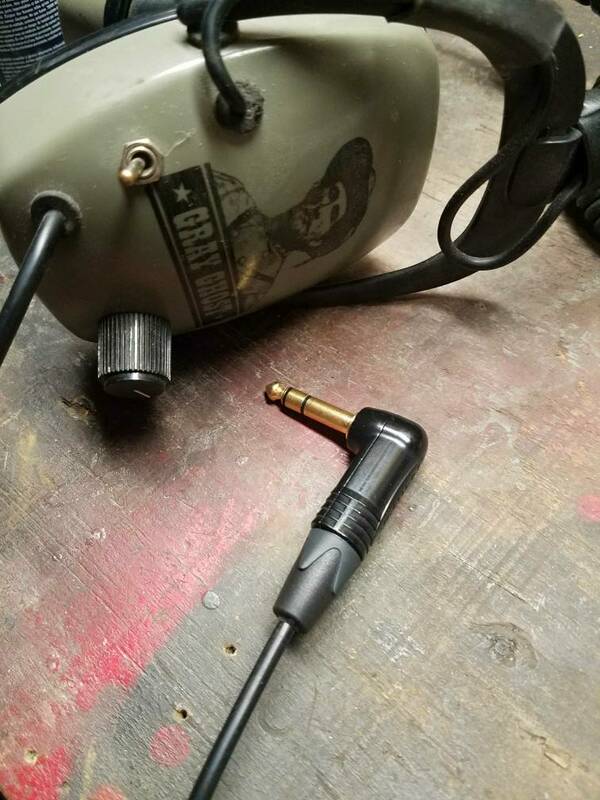 I'm not even sure if I have the right plugs to do the job? So my question to the forum is, has anyone ever repaired or replaced the plug on a set of headphones? If so how did you do it and what do I need to pull off this task? I can’t help with your wiring issue but I can relate to your problem, I too average a new pair once a year, I guess they are such an after thought for me. Looking to go wireless after the weather breaks, goodluck in your endeavor. I have done it! I had the same issue with the original minelab phones and the wire detached at the plug. 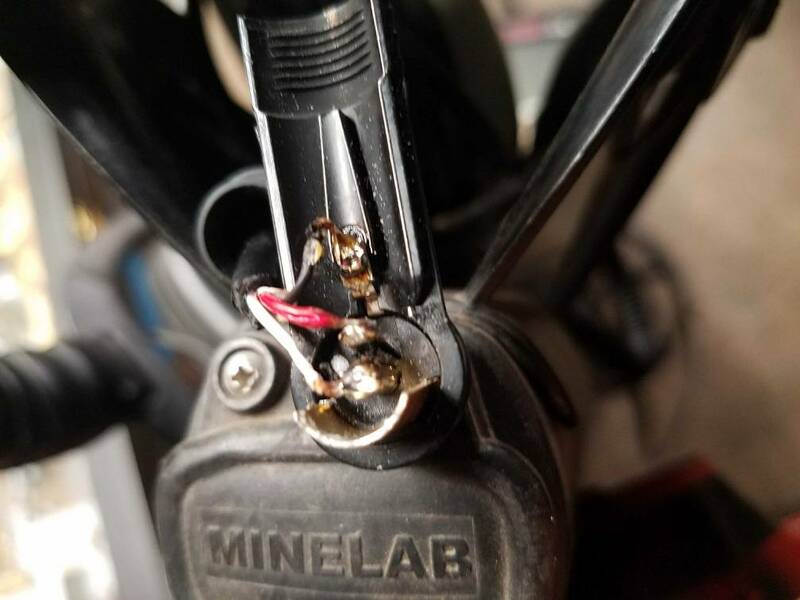 I bought a new plug on eBay and soldered it together and it worked a few years before it detached again. Now I have sunray head phones. I'll see if I can get a couple pics of what I did for you tomorrow. Tim contact Gary Storm from Detector Pro , (the owner of Grey Ghosts ) info@GoldDiggerInnovativeProducts . These had a really bad short and Wow did Gary fix these quick , these things are at least 10 years old and couldn't be still under warranty but he only charged me for the new ear pads Amazing customer service !! He is a stand up guy who 100% behind his work and a real gentleman to work with ! Oh sweet!! Thanks Jared! Im looking forward to it. Unfortunately Dan I've already done that. And they came back in no better working order than they did when I sent them. So I'd really like to learn how to repair them. I've had 2 pairs of Whites, 1 pair of Koss, 1 pair of Gray Ghost, 1 pair of Sunray Pro Golds. Last Christmas Jen got me a pair of the camo Killer Bees and now they are starting to go bad. I've got a pair of the Deteknix wire-free headphones which are great othre that they only last for about 8 hours before they go dead. Tim - below are a couple pics of my plug. I have now re soldered this one twice. The first time was about 6 months after I purchased the Etrac brand new which was about 6 years ago. Then I re soldered it again this past summer when my Sunray headphones needed service. The UR30 minelab phones are my back up. I would open this plug up for you but if I do that I risk breaking a connection. So I will just explain it. The brand is Neutrik. I recommend the 90 degree plug which is easier on the wire which means that it will likely last longer. I believe you use an Etrac so be sure to get the STEREO version of the plug. Now the fun part. You will need to solder the 3 tiny wires to the connections on the plug. I figured out what wire goes where by turning on the machine and putting the wires in place until I got a tone as my kids waved a penny over the coil. Once I figured out which wire goes where I took a wood burning engraver and some solder I had and did my best to solder it up. It was not the best but this lasted me a couple years until I got some decent head phones. Then last summer I took this to a friend who does some electronic soldering and has a small soldering kit. He did a much better job than I originally did. So I recommend if you do not have a small soldering kit or if you eyes are as bad as DaddyDigger's and Digger Don's (man those guys in their videos make me laugh as they guess as what date they just found) then find someone that does. 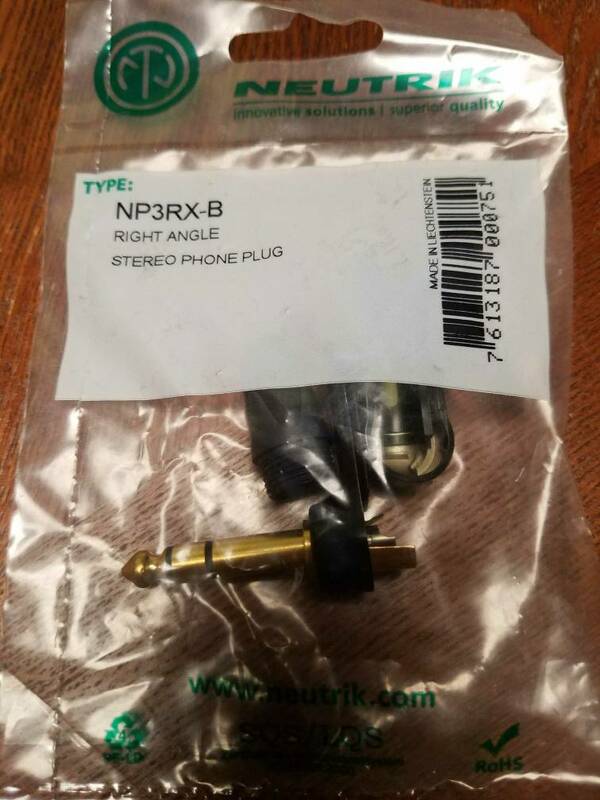 I just typed in Neutrik 1/4 stereo plug on ebay and there are many available from $7-20. Maybe your IT department at your work has a small soldering kit? Hope you can fix it with out spending more than $15 or so which is much better than $125-150 for a new set of headphones! So I recommend if you do not have a small soldering kit or if you eyes are as bad as DaddyDigger's and Digger Don's (man those guys in their videos make me laugh as they guess as what date they just found) then find someone that does. Last edited by Bucknut; 01-02-2018 at 02:34 PM. The plug looks pretty similar. That's a good idea to have some hold the wires in place then try to solder it. I think my soldering set up might be too big also. I'll try it again ....stand by. if your eyes are as bad as DaddyDigger's and Digger Don's (man those guys in their videos make me laugh as they guess as what date they just found)! Don is WAY worse than me!! He's blind in one eye and can't see out the other! LOL. Soon you will be doing some Germany detecting videos and I can only imagine that not only will you struggle with the dates but also with what is written on the coins. Can't wait to have a laugh at your expense! I did it!!! They're working!!!! Very ugly solder job but .... hey what do you expect from a Operator? Here it is soldered together. And then a shot of it put back together, ready for action!! Congrats on the repair! May I suggest that you fill in the area of the terminals with clear silicone, and a bit around the cord going in before sandwiching the 2 halves together permanently. This will do 2 things. First, it will stabilize and support those tiny wires so they don't flex and break. Secondly, it will seal out moisture which is another reason those wires deteriorate and break, or causes the connection to get sketchy around the solder joints when they oxidize. That can easily cause miniscule shorting which you hear as the crackle and popping. Tim - that solder job looks better than my first attempt that lasted a couple years. I never thought about doing what DOD suggested but sounds like it might be a good idea. Oh man! Yours must of be awful! Because mine is pretty hideous!!! But if it last as long as yours did then I accomplished my goal. Thanks again Jared! PS: Remember; Don't leave it in the ground!